Several reasons led me to want to demo a Burris XTR II. I have seen other reviewers, as well as average consumers praise the scope that Burris created. I have owned one Burris optic, in the past, and remember good clarity, but a BDC type reticle, and turrets that I didn’t trust. Based on the features Burris built into the XTR II, I felt they built a scope to enter the market for so many shooters that use Mil, or MOA based scopes, and first focal plane. It appeared to me that Burris recognized the gain in popularity of scopes with those features, and decided to become a competitor in that market. 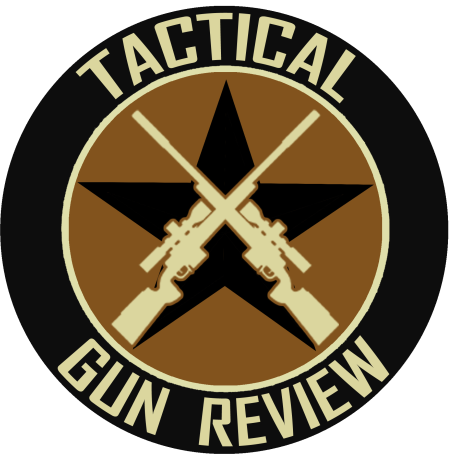 I teach private rifle shooting lessons, out to 800 yards, compete in practical precision rifle matches, and hunt twelve months per year. Mil/ Mil FFP scopes are all that I use for every rifle task. 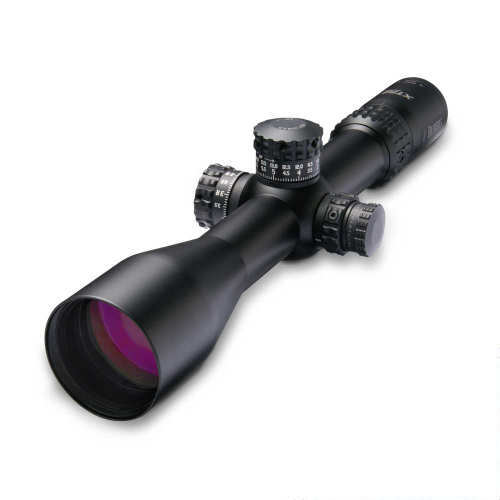 It appeared to me that the price margin Burris entered was approximately in line with Vortex Viper PST, and the many forums on the internet have many hunters and shooters comparing the two makes of scopes parallel from one another. I have owned a Viper PST, and overall was happy with it for the price I paid. But there were a couple of things about the Viper PST that bugged me. Clarity degraded at the top end of magnification, 5 Mils per revolution on the elevation turret as opposed to 10, and the turrets were way too easy to turn. So easy that while walking many miles last December in Terrell county, Texas mule deer hunting I would have to check my turrets zeroes when I unslung the rifle. In a speed situation, to make a shot on a mule deer the last thing anyone wants is to have a scope that lost zero. 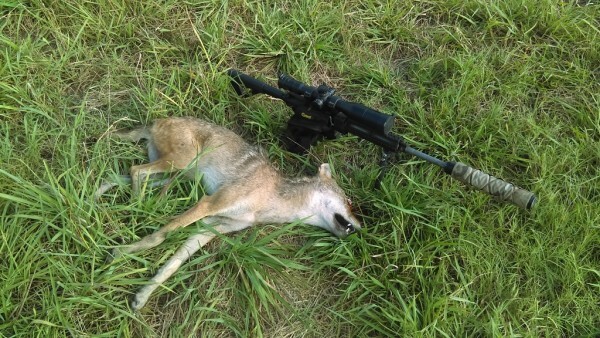 After the hunt I sold the scope and requested a Burris to test drive, intending (if it worked out) to keep it and employ it on the 7 Rem Mag that I hunt mule deer and elk with, as well as atop the LR 308 I travel with in search of feral hogs and coyotes. What the scope can do. I’ve used the Burris XTR II 3-15X50 or a little over three months on my LR 308, and have been thoroughly impressed by it. The glass clarity is on par, or better than the Viper PST, the SCR-Mil reticle is pure genius giving exact wind holds, with the lesser need for the shooter to approximate Mils in one tenth increments, since the reticle is graduated in .2 Mil increments. The turrets are not difficult to turn, per se, but the shooter has to mean to turn them. They are very tactile, with an audible click at each tenth Mil. Plus the elevation turret is 10 Mils per rev, which means for the scope I have, and what I am going to use it for that it probably won’t ever see the second revolution. Having side focus, as opposed to on the objective, is what many of use, have not only become accustomed to, but demand. Burris recognized this and put the focus on the left side, of course. The illumination knob is layered with the focus knob, but after an hour with the scope I did not have to look at which knob I was touching , I just felt for it, and was able to adjust as needed without losing my sight picture. The illumination knob and the focus knob being different diameters allows adjusting without having to look at which knob the shooter is grabbing. Burris did the right thing by putting an “off” setting between each illumination setting. And they were genius in building in an automatic illumination shut down after three hours. Most of us have inadvertently left the illumination on with the scope/ stored in a case or safe for untold number of days. Only to find the battery completely dead the next time we need the illumination. The magnification ring is easy enough to turn, and I have not felt the need to add a throw lever. I never performed an official tracking test on the scope, but per my ballistic calculator the scope tracks as true as any other I have used. It has been dialed up and down many times, and in many types of weather. It has never lost zero, and has consistently given reliable service on cold bore shots at distance of 500 to 800 yards. For years I have believed the 3-15X magnification range was possibly the best combination of low magnification for close shots, as well as enough magnification for shots beyond 500 yards. And a scope that I have wanted for many years was, of course, the Night Force F-1 3-15X. I just never could convince myself to spend the money, even on a used one. I believe Burris did a great job with the 5X multiplier in the XTR II. 1-5X, 2-10X, 3-15X, 4-20X, and 5-25X gives plenty of options to shooters based on the situations they may find themselves in. I debated the 3-15X, and 4-20X for my particular tasks, but decided to give the 3-15X a try since the magnification range has always intrigued me. In my area I have the potential for thousand yard shots on coyotes and hogs, as well as heavily wooded creek bottoms. The 3-15X has delivered! It will get a perfectly clear sight picture at 20 yards, which is helpful in the event of an up-close, snap shot on a busted coyote or hog. Shooting with the scope down my range has been free of issue at 15X. 800 yard shots have been performed at will. What was in the box. Upon opening the box that the scope arrived in, I was pleasantly surprised to see a sunshade as well as Burris branded flip up scope caps. I have broken more Butler Creek caps than I can remember, and long ago decided to never buy another one. Burris didn’t built a bomb proof flip up cap, but they are far more robust than the wimpy Butler Creeks, and feature a fold back setting. The caps will open under a spring, then the shooter can fold the cap back to the body of the scope giving a slimmer profile of the scope, and allowing a field of view with the non-firing eye around the scope. They have not broken yet, after the rifle/ scope being taken in and out of the truck almost daily for three months, as well as carrying the rifle to downed animals, crossing barb wire fences, and plenty of brush. The scope is not light weight by any means, built on a 34mm tube housing turret internals. But I have become accustomed to scopes with some heft. I think it is just the way it is if someone needs a scope to be tough enough to be used in less than ideal conditions. Now, more than any time in history, more people are becoming interested in shooting medium to long range. Many suffer from sticker shock when they see the prices the scopes built to perform the task. Weekly I get e-mails asking for suggestions of what scope to buy for a person to get started in shooting extended ranges. My first question is “what is your budget?” Before this review was written I have recommended the Burris XTR II 3-15X50 no less than ten times. From what I have seen it is an outstanding scope for the budget minded shooter, with a huge bang for the buck. But that is not to say that it is not a scope “good enough” for the most discretionary scope snobs out there. Burris knocked it out of the park with this scope! And I can see it being useful for many tasks, for a large variety of shooters and hunters. Building a new 6mm AR (6mm Grendel) on a custom McGowen 22” 1-7 SS barrel on a nonreciprocating billet upper by Spartin along with a matching billet lower. Have been scope shopping waiting for the barrel. Have a Athlon Aeres 2.5-15 on a Howa 6.5 Grendel which is my best glass. Came close to buying another Athlon before being distracted by a Sightron 2.5-17 x56. Finally the 34 mm Burris XTR II was more than I could resist and I decided to go with the Burris. After having deciding on the Burris I stumbled across your article which helped me believe I had made the right choice. Unfortunately, won’t get my final reinforcement for a couple months as my barrel isn’t due in town for another couple months. Anyway, I enjoyed your article very much.. Have a great great grandson in Texas, age ten who made his first deer hunt this season. Expect Boston failed to score as I haven’t gotten a report.